It also has newly designed crown-style body and colorful Cobra resin drip tip. 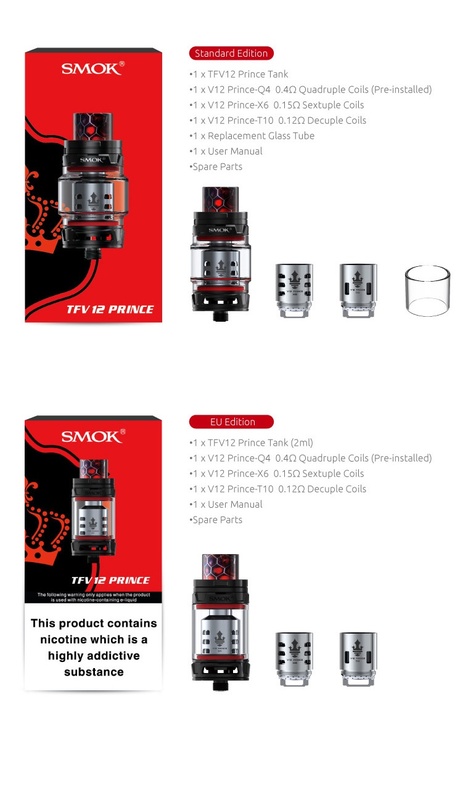 The Prince tank is the first SMOK atomizer to feature a locking top-cap. With this safety feature, you now press a discreet button on the top-cap to open the horizontally hinged top section. As well as helping to make the tank more child-proof, the lock also prevents the top-cap from accidentally opening in a bag or pocket. 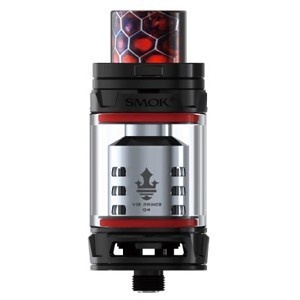 SMOK’s TFV12 Prince Tank comes in a dazzling range of metallic finishes. Each colour option has an exquisitely patterned ‘Cobra’ resin drip-tip featuring complementary colours. Choose from: Black, Green, Blue, Red, Purple, Stainless, 7-Colour or Gold.